Building your own PC means creating a device tailored to your very own needs. It’s easy to upgrade, often cheaper and can perform much faster than traditional models. So, if you’re going down the DIY route and it’s your first time custom-building your own machine, here are 7 essential tips to consider, provided by German online electronics retailer, reichelt. Get clear on what you want from your PC. Make a list of all the programs, videos and applications you want to run on your PC. This will help you map out the components you’ll need – for example, if you’re a gamer, overclocking your Central Processing Unit (running it at a higher speed) may be important and requires a more effective cooling system. Plan before you build. Every build is unique, so take the time to visualize how each part will fit together, before buying and realising components aren’t compatible. Does your power supply prevent access to the motherboard? Is there enough space for your cabinet? Asking questions such as these will save you time in the long run! Test the connection. Always do a simple test-run before installing the components in your cabinet. This will save you the hassle of dismantling everything in case a component doesn’t work. Simply use your motherboard box as a framework and if all functions properly, you’re ready to build in. Keep thermal paste to a minimum. A small, pea-sized amount in the centre of your CPU (Central Processing Unit) is perfect. Too much and the thermal compound could behave as a conductor and stop your system from functioning properly. Don’t force anything. If it doesn’t fit, don’t force it. Most components attach together only one way, so simply try another method if it doesn’t work. Computer parts tend to be very fragile, so be careful not to damage your components in the process. Ensure good airflow. Cooling your PC properly contributes to the overall performance and lifespan of your device. You can choose to cool your system with air or water. The air cooler is cheap and performs well, however, if you are planning to overclock (run your processor at a higher speed), a water cooler allows fans to run slower and quieter. A little maintenance goes a long way! Once you’ve built your computer, ensure that you open up the device and clean it regularly. Keep dust levels to a minimum and your machine will continue to operate at an optimum level. For high-quality components to build your PC, reichelt can provide you with everything you need, with many products up to 20% cheaper than elsewhere in the UK. 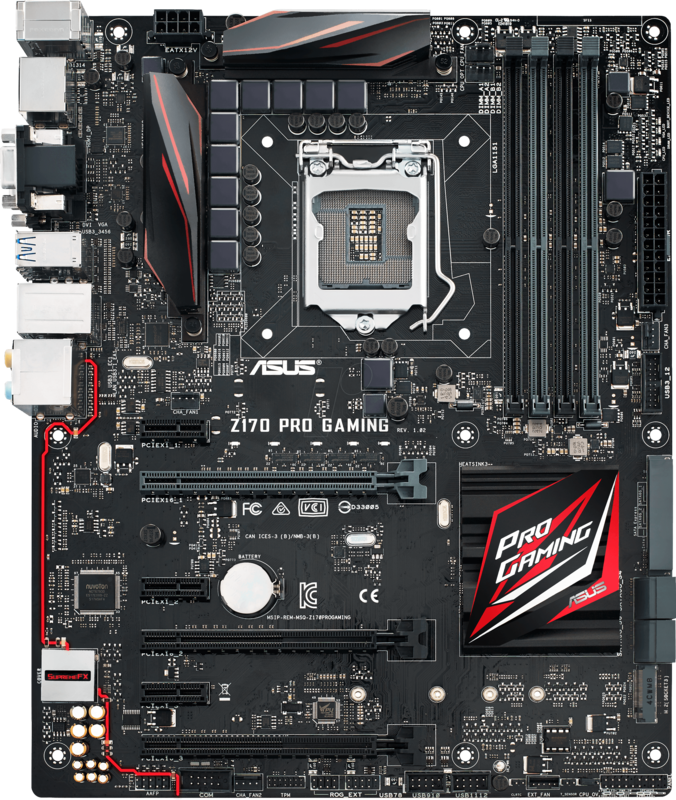 For gamers, we recommend the ASUS Z170 Pro Gaming 6 Motherboard, a high-value, feature-packed board which delivers outstanding performance. Processors, RAM and storage functions are also available; as is a great range of external hardware, such as the Denon HEOS 1 WS 2 Wireless Speakers with WiFi and optimised sound quality.